– residential schools for teens and teen challenge schools. 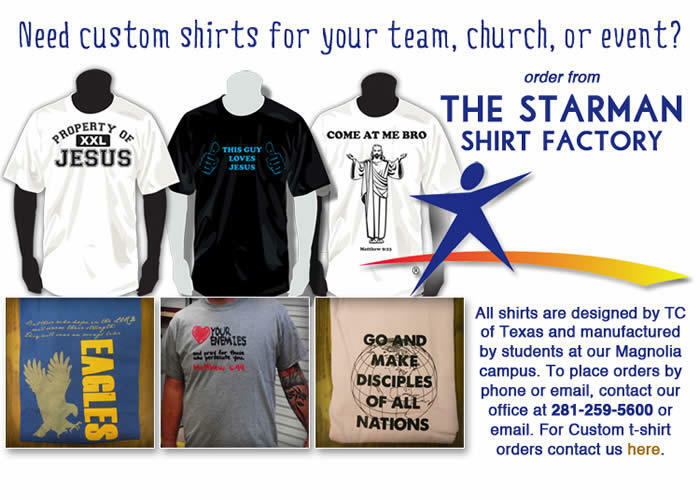 For bulk prices and for all specialty orders contact the Starman T-Shirt Factory at the Magnolia Men’s Campus at (281) 259-5600 or e-mail tshirts@tctexas.org . We can also help you in your search for other rehabs near me, alcohol treatment centers, drug rehabs, or therapeutic schools. 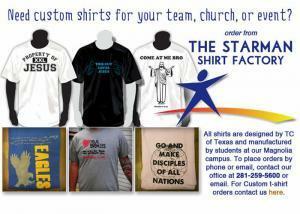 Should you need help finding Christian rehabs, rehabs for alcoholics , rehabs or rehabs near me, please let us know.